Link V belts are better because they offer a reduced amount of vibration and a reasonably low price (usually under $30). 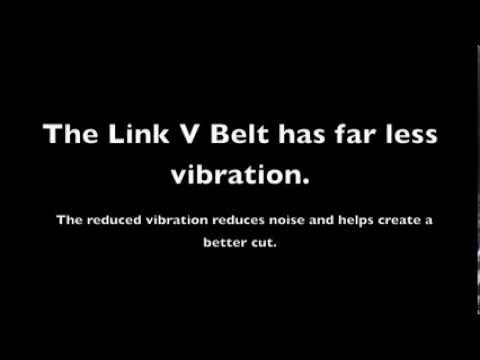 I was skeptical myself before purchasing a Link V belt so to demonstrate their value I put the following video together. Pay close attention to the motor and even the studs on the motor. You will notice with the standard V belt there is a lot more vibration while running. During the startup and shutdown there is noticeable surging with the standard V belt also that you do not see with the Link V belt.